Choosing an online high school for your child’s individual needs can be a daunting process. We here at OnlineHighSchoolCredits.com are here for you to ease that decision making process. Oftentimes, we, as parents, are left with needing to make a quick decision in regards to what’s in the best interest of our children. Many seeking an alternative to the brick and mortar option are seeking out a well-qualified, Christian based online high school in which opportunities are available that are not regularly offered at brick and mortar schools. In addition, your student will be wrapped in a support group they’ve not experienced before without the pressures of the daily grind associated with many high schools today. Below you will find our editors’ choices of the Best of the Best Top 10 Online Christian High Schools. We invite you to take a deep look into each school as we’ve provided very pertinent information regarding what each school has to offer, tuition, teacher involvement, accreditation, elective and MORE! Please visit our Rankings and Methodology page to gain insight into how our staff went about choosing each of these fine schools! Northstar Academy is the first Online Christian School to receive their accreditation in November of 2005 from AdvancED through the Southern Association of Colleges and Schools. This Accreditation through AdvancED, the largest accreditation group, and the fact that Northstar Academy was the first online Christian School to earn their accreditation, is a major reason why they made the top of our list. Northstar Academy is also among the first group of online schools to be accredited by the Association of Christian Schools International (ACSI) this year. ASCI just begin accrediting online schools for the first time. Northstar Academy, as an online high school, uses the Internet in order to link students with one another, as well as with certified teachers to help assist in instructions and receive grading. Teachers post their assignments, lead group discussions, evaluate students, just like in an traditional brick and mortar school system. The completed assignments and tests are submitted back to the teacher for grading. The teacher then reviews the work with the student. One on one student to teacher time is important in our decisions in ranking schools. Anytime a school provides a credentialed, quality teacher that can interact one on one with the student, it is a big plus! Northstar students can earn college credits as approved on a case by case basis. You will first need to be approved by Northstar’s guidance counselor. Northstar partners with LeTourneau University, Moody Bible Institute, Bryan College, and Colorado Christian University in order to bring students an opportunity to earn college credits. Northstar students can take part in their own student newsletter, council, and other clubs ideas and interests they may have. Northstar Academy also has a “Student Cafe” with over sixty “interest items” to take part in. The cost is $570 dollars per one year course credit. There are discounts available… for example the “sibling discount”. Your student will need six credits per year to be qualified as a full time student. This is only the course cost, there are other costs like registration fees, shipping costs, books, and added courses. You can find a clearly laid out page on their website listed below. 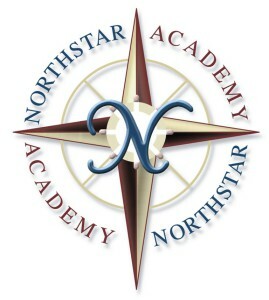 You can visit Northstar Academy’s Website by clicking here! Calvary Preparatory Academy is accredited through the Western Association of Schools and Colleges. This accreditation is recognized across the United States and internationally. Calvary Preparatory Academy was designed with accreditation in mind and have not discovered any issues where their credits did not transfer to a different school. Calvary Preparatory Academy on a regular basis stays updated on standards that other schools strive for making Calvary a great choice for your online school needs. Calvary Preparatory Academy has a program that includes live, interactive, teacher support. Students are able to meet with their instructors in order to have their students turn in their required assignments and then discuss the assignments with their teacher. This makes for a feeling of a normal brick and mortar school system without all the bad that can come with a normal school. One on one teacher to student interaction is very important and was a deciding factor in making our decision to include them at the top of our list of top online high schools. Parents are also welcome to take part in these virtual meetings. Calvary Preparatory Academy has a program working with Apex Learning Virtual School that includes, German 1 and 2, Latin 1 and 2, and Mandarin Chinese 1 and 2 with an extra fifty dollar charge. Student is subject to approval. Calvary also has several extra programs that help prepare for college, such as, christian fairs, college bound testing, scholarship help, resume help, and more! Calvary Preparatory Academy has developed an online social network through the use of Facebook in order to link students and their families to create an online community to take part in. Calvary Preparatory Academy has an annual cost for their online program of $4,200 for a twelve semester course. Calvary, also, has an $2,900 option for twelve semesters per year, although with this option you have less access to some of the school’s tools and programs. There may be some other small fees, as well. You can contact the school for more info or look at their web site from the link below. 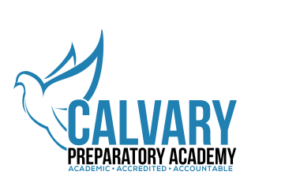 Calvary Preparatory Academy’s website is accessible by clicking here! Liberty University Online Academy has an accreditation through AdvancED is the world’s largest accreditation group. AdvancED is also approved by the Virginia Council for Private Education as authorized by the Virginia State Board of Education. With the accreditation through AdvancEd, you should have no problems with the transfer of any credits earned through Liberty University Online Academy. Liberty University Online Academy gives your student access to teachers that hold advanced degrees in their subjects. Teachers will be responsible for your student’s homeschool curriculum, assess student’s work, and handle the day to day academics for each student. Parents are also encouraged to take part in their student’s education making Liberty University Online Academy’s student, teacher, parent relationship more like an traditional brick and mortar school without any of the negative issues that go with brick and mortar and one of the reasons we chose Liberty in our top ten list. Liberty University Online Academy allows students to complete assignments on their own schedule using Liberty University Online’s flexible virtual classroom. These online courses are in an eight week course format using authentic Liberty University Online courses that will allow your student to interact with a college professor and college peers while taking college courses. Each college course in the dual enrollment program at Liberty University will earn 3 college credits along with half a credit toward his or her high school diploma. Liberty University Online Academy has online communities through Facebook and Twitter that students can take part in along with some faith based services that can be found on their website. Full time students will need 26 total credits at a cost of $495 per credit. There are some other small fees and extra course fees. Liberty University Online Academy also has payment options along with part time options, as well. You can contact them, or find out more info from their website listed below. Check out what Liberty University Online Academy has to offer! Oaks Christian Online High School is accredited through the Western Association of Schools and Colleges and is also accredited by the Southern Association of Independent Schools. Having a solid accreditation is one of our requirements for making the list, so having two accreditations makes the school just that much better in our eyes. 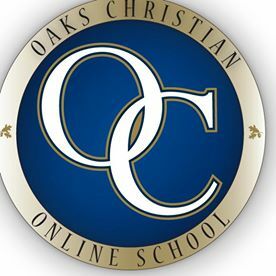 Oaks Christian Online School students have access to highly qualified Christian teachers, counselors, and an support team including a spiritual life adviser and college counselor. Teacher access is important in order to keep parents and students from feeling as though they are going at it alone! Oaks Christian Online School has you covered! Oaks Christian Online School does offer Dual Credit courses taught by an affiliated, accredited college. Oaks Christian Online Schools recommends that students check with the college they plan to attend about credit transfer requirements. Courses are normally open to juniors and seniors. These courses are year long courses. Dual enrollment courses are offered through: Berklee College of Music, Grand Canyon University, and The King’s College of New York City. Oaks Christian Online School makes available to their students social programs such as, virtual events in the form of clubs, online discussions, orientation, and virtual assemblies. Other programs also includes: Student Council, Performer’s Club, National Honor Society, Sports Club, Photography, Fine Arts, and Spiritual Life. There is also an part time plan available. You can find out all this and much much more, along with contact info by going to their website link below. Oaks Christian Online School’s Website can be accessed here! Western Christian Academy is accredited through the North Central Commission on Accreditation and School Improvement, providing an education for students in the 6th through 12 grades. Western Christian Academy also has accreditation for its 5th grade and below through the National Association of Private Schools. Western Christian School has an “on call” teacher system in place that includes a built in message system and subjective scoring. This saves parents time and is used for concept help, along with any questions that may come up. Western Christian Academy has an payment plan that allows you to pay $219 dollars over 10 months, a quarterly plan that allows you to pay 4 payments of $527, an semester option that allows you to pay 2 payments of $1,042, or an annual payment of $2,048. There is also an small family registration fee of $125 when you register your student. Western Christian Academy has an nice website that provides all of the answers to your questions and contact information. Just check out the link below! Alpha Omega Academy is accredited through the North Central Association Commission on Accreditation and School Improvement which is an division of AdvancED, the world’s largest accreditation organization. This accreditation allows your student to receive an official diploma upon graduation. Schools that are accredited have to surpass academics that equal or surpass traditional brick and mortar schools. Being an accredited school is one of the requirements we had in order to make the list. Alpha Omega Academy provides one on one teacher support. One on one support is very important in order to allow your student to reach their learning goals and is better all around than the brick and mortar option where the teacher is dividing their attention among thirty other students. Alpha Omega Academy’s teachers use a flexible yet structured program that your student benefit from. Alpha Omega Academy offers an dual credit program that allows students to get a head start on their college education, working in partnership with the University of Northwestern – St. Paul. Alpha Omega Academy offers full time juniors and seniors the ability to earn high school credits and college credits at the same time. Alpha Omega Academy offers over 65 dual credit college courses to choose from, making Alpha Omega Academy a great choice. Introduction to Careers in Government & Public Admin. Alpha Omega Academy makes it possible for their students to communicate through social networks like Facebook and Twitter, along with programs such as the National Honor Society, where they have their own chapter. Alpha Omega Academy also has a news letter where they showcase their student of the month, along with other such news. Alpha Omega Academy does not have a list of costs on their website. You must call to find out that information. Alpha Omega Academy needs your student’s information, along with what courses your student wants to be enrolled in to design tuition around your needs. You can find this information along with contact information on their website. Just click the link provided below. Check out more information from Alpha Omega Academy here! NFC is regionally accredited by Middle State Association of Colleges and Schools in order to bring the best online program for each student, along with accreditation through the Florida Association of Christian Colleges and Schools, The National Council for Private School Accreditation and they are, also, members of The International Association for K-12 Online Learning. (iNACOL) is a non-profit organization that focuses on research, that allows ongoing professional development in the classroom. This is an very impressive list, making NFC Academy a very good choice for your online school needs. NFC Academy has experienced teachers to assist students with their education goals. All NFC teachers hold a college education in their field and are committed Christians who value the biblical worldview for your student. NFC teachers act as the primary teacher, helping the parents/students in their day to day needs. The access to teachers is very important and one of the requirements that we look for in a school. NFC Academy does offer dual enrollment for students to get started on their college careers while still in high school. 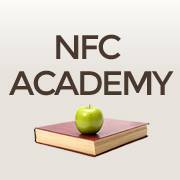 Through NFC Academy your student may be able to attain their two year AA degree or its equivalent. Junior and Senior students have this option which allows them to attend a fully accredited private Christian University. NFC Academy works with the University of Northwestern, a Christ-centered college. If you choose to go through a different college for your duel enrollment needs though, you would need to talk with the NFC Academy office in order to determine what credit they will receive, while meeting specific course graduation requirements as an elective course fulfillment in high school. There are not any courses listed on their website, so you will have to contact the school in order to get information on the available courses. NFC Academy does offer college counseling. You can see all this and much more on their website if you click link provided below. NFC Academy’s website is available by clicking here! Christian Educators Academy is accredited through AdvancED, the largest accreditation group. This accreditation means that the credits your student earns and their transcripts through Christian Educators Academy’s online high school program will be accepted by high schools, colleges, and Universities nationwide. You can visit their “Graduates” page on their website to see a list of colleges that have accepted graduates from Christian Educators Academy. Christian Educators Academy does provide teacher access to their students. Teachers assess and grade their student’s work, decide the best support for their students, and they also mentor the student. All of Christian Educators Academy teachers meet AdvancED accreditation requirements. Teachers must also have a Bachelor’s degree from an accredited institution with a major in their assigned field or have an Bachelor’s degree along with six months of teaching experience with a closely related subject. Christian Educators Academy also has a program for making installment payments available. You can see all this and much more information on this school by visiting their website using the school’s link we provided for you below. A Beka Academy is accredited through the Middle States Association of Colleges and Schools Commissions on Elementary and Secondary Schools, along with the Florida Association of Christian Colleges and Schools keeping this online school up to date with high standards that are recognized nationally and internationally. From what we gather on A Beka Academy’s website about teacher access is that it is more of a video, student/parent type format school with less teacher interaction. Not a wealth of information is available from their website as to what the roll of the teacher is. If you are a parent that wants to have more of the “teacher” roll in your child’s education, this may be the ideal school for you. The website link at the bottom of the page is where you can find contact information along with more information on teachers. • Tuition Only — Includes use of videos, the video manual, and progress reports. Also included with the tuition at no additional charge are the Test/Quiz books and Test/Quiz keys. • Tuition & Books — Includes all items in the Tuition Only package, plus all student workbooks and teacher materials. More information available on their website provided in the link below. 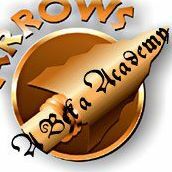 A Beka Academy’s Website Link…click here! Cornerstone Christian Schools is accredited through AdvancED the largest accreditation group, along with The Association of Christian Schools International and the International Christian Accrediting Association. 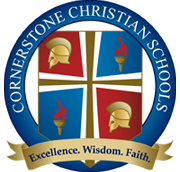 Cornerstone Christian Schools is certified by the Texas Private School Accreditation Commission and is recognized by the State of Texas Education Agency and the State Commissioner of Education. Cornerstone Christian Schools offers a one on one student to teacher environment with teachers that hold a minimum of a four year degree and each teacher is state certified in their prospective areas. Parents can be assured that Cornerstone Christian Schools teachers and curriculum meet high standards. Part-Time students may register for .5 to 3.5 courses. Students with 4 or more courses are considered full-time students. The graduation fee covers diploma and official transcript only. Standardized testing fee required of all students in grades 3 through 11. Chemistry and Biology fee for virtual labs on an external website. 1st payment – 50% of Total Tuition – Due after placement, before curriculum is assigned. 2nd payment – 50% of Total Tuition – Due 120 days after first tuition payment. Payment 2 must be made before second-semester courses can be activated. Note: Tuition will be paid by debit or credit card only. This information and much more can be found on school’s website link that I have provided below. Click here to get to Cornerstone Christian School’s Website!